You've heard about it, now let your kids experience it! LIMITED SPOTS LEFT for a super fun CAMP adventure! 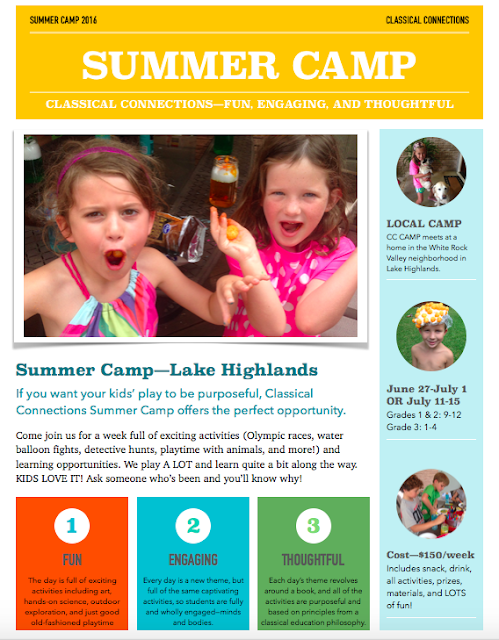 To register, return this registration form along with payment to classicalconnectionslh@gmail.com or mailed to 9407 Overwood Rd. Dallas, TX 75238. Registration can be paid by check or via PayPal.